A history of endometriosis is a must read for everyone who is serious about endometriosis! Ronald Batt MD PhD takes us on a scientific (and entertaining!) journey from the early science of endometriosis leading to today’s understanding of the disease. Each chapter shows remarkable insight into not only the work of all the early pioneers, but also the environment that shaped each revelation upon which we are continuing to build of understanding of endometriosis today. 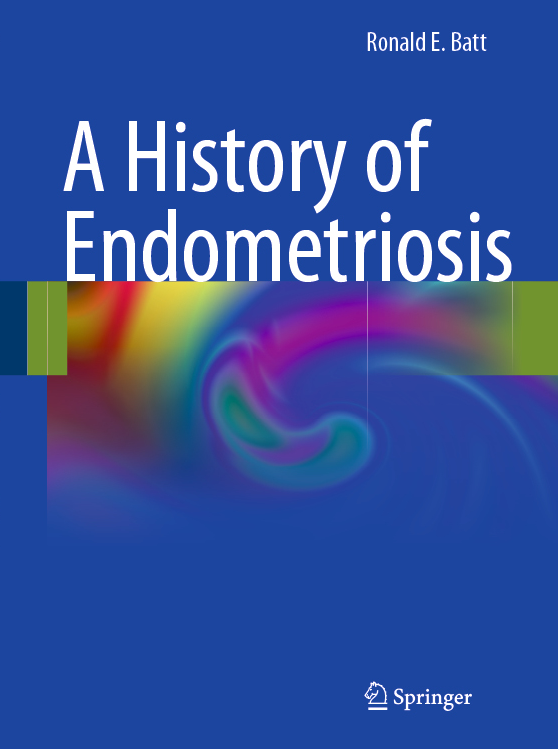 A history of endometriosis can be purchased online and all royalties are being donated by Dr Batt to the Rodolphe Maheux Travel Fund for Young Scientists. Journal of Endometriosis and Pelvic Pain Disorders (JEPPD) is an international, peer reviewed journal dedicated to endometriosis and pelvic pain disorders, which is now listed in the Emerging Sources Citations Index and PubMed Central. It is edited by Professor Mauricio Abrao, University of Sao Paulo, Brazil.